Are you a recent school or college leaver wondering what to do in September 2019? 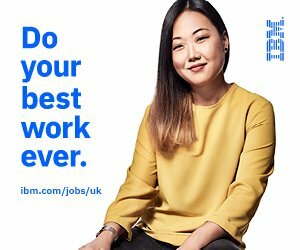 If you relish solving problems, working with data and been part of great teams then developing your career as a Business Apprentice could be the right next step for you. If you want to know more about our Coca-Cola products whilst working alongside our highly skilled teams in Distribution, Planning, Quality and Health and Safety, then this could be the perfect opportunity. Our 2019 apprenticeship programme is open and waiting for your application! At CCEP, we strongly believe in attracting and developing new talent into our business to provide you with the scope to accelerate your learning and identify undoubtable potential. Our Business apprenticeship programme allows you to do just that, you will be learning on the job working with experts in each of our departments. If you have not decided what area of business you are interested in this is the perfect opportunity to have a programme that supports working in all of our different departments to set yourself up for a rewarding career. If you have the drive, enthusiasm and passion to join our business …apply today and we will do the rest. If this role is of interest to you please upload a recent copy of your CV and a member of the Talent Acquisition team will be in touch. We believe that equal opportunities means inclusion, diversity and fair treatment for all.